Victims of Church's Chicken floor collapse speak out, Steve Campion reports. 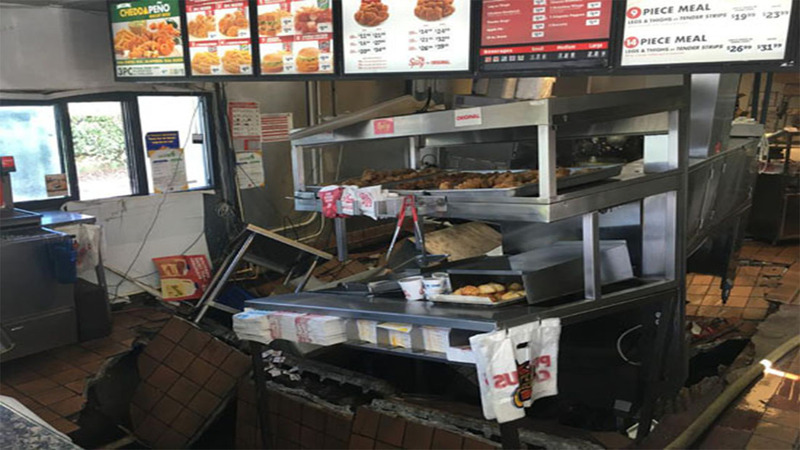 LIVINGSTON, TX (KTRK) -- It's been nearly seven months since the horrifying scene unfolded inside the Church's Chicken in Livingston. The floor collapsed inside the restaurant, sending hot grease on top of three employees. The three women, Erica Acevedo, Joselin Damian and Hugolina Guerrero, remained in critical condition for months with severe burns. Everything is different for the women. They have had to learn how to walk again. "When I was in the hospital, it (pain) was horrible. It was horrible," Damian said. Benny Agosto Jr., the attorney for Damian and Garzon, has filed a new $150 million lawsuit against Church's Chicken. He says management had been warned about the potential problem. "The temperature was in excess of 350 degrees," he said. "It's hard to believe they survived. By the grace of God, they are here." Church's Chicken would not comment on the lawsuit.